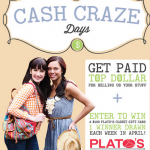 Plato&apos;s Closet - During the whole month of April 2013, when you shop for your spring wardrobe or sell your clothes to Plato&apos;s Closet in Frisco (or any of their other locations) you can enter to win a $100 Plato&apos;s Closet gift certificate. They will be drawing one $100 gift certificate winner every week in every store (certificate valid in the store you entered in). You have nothing to lose and only clothes and money to gain at Plato&apos;s Closet, so go for it! 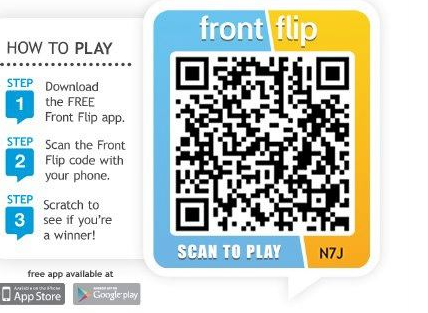 Kenny&apos;s Burger Joint - With the Front Flip app, just scan their QR code to the left every day for a chance to win a FREE BURGER every week for a year! If you do the math, that&apos;s 1 minute of your life for a chance at 52 FREE burgers. Need I say more? Get to scanning! Massage Envy - Stressed out? Need to relax? Massage Envy can help! Sign Up for a chance at a FREE Massage courtesy of Massage Envy! AroundTownKids is giving away One Free Massage A Month, so sign up here. Your sore back will thank you later. Pump It Up! - AroundTownKids has teamed up with some of your favorite Party Places and Suppliers in Frisco, including Pump It Up, to set up your child for a FREE birthday party valued at over $300! 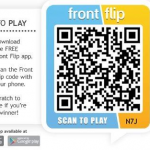 Enter in the drawing through this online form. You Be the Tour Guide Photo Contest - The 3rd Annual You Be the Tour Guide Photo Contest is going on right now and ends April 20, 2013. Anyone from students and amateur photographers age 15 or older can enter in their work. The most striking color images will be considered for prizes anywhere from s hotel stay, sporting event tickets, to gift cards and will be awarded during a National Travel & Tourism Week event 3:00 p.m. Saturday, May 5 at a TBD location inside Stonebriar Centre. 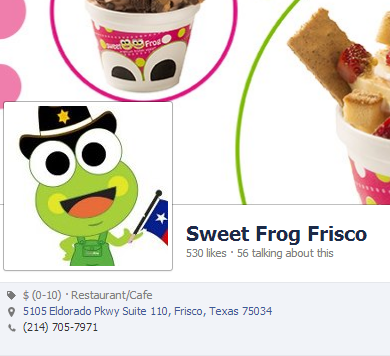 Sweet Frog - There is nothing like frozen yogurt on a hot spring Texas day. What&apos;s better? How about some FREE frozen yogurt on a hot spring Texas day? 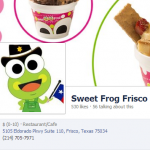 Keep tabs on the Sweet Frog Frisco facebook page for contests where all you have to do is share or like a specific photo or status on their page to be entered in for FREE yogurt. Hop to it Froggers! Rough Riders / CoServ - You have the chance to win $50,000 in the CoServ&apos;s $50,000 promotion. Register to win and if a &apos;Riders&apos; Home Run hits the Facebook icon on the CoServ outfield sign, you could win! Fill out this short sign up form and you&apos;re entered. 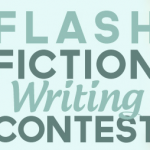 Frisco Public Library’s 2013 Flash Fiction Contest - Frisco Library is accepting original, unpublished works of 500 words or less for our Flash Fiction contest. 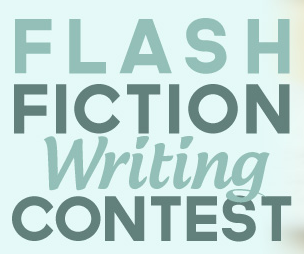 In order to be be considered, be sure to submit your story by April 21, 2013. Winner is featured online at friscolibrary.com and will be honored at a reception at the Frisco Public Library. Let your story be heard! 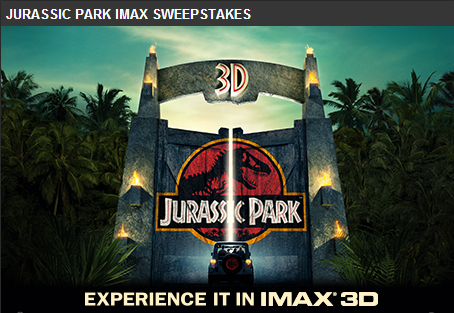 AMC Stonebriar 24 & IMAX - I know that experiencing Jurassic Park in 3D IMAX is in fact a prize in itself. But wait, there&apos;s more! 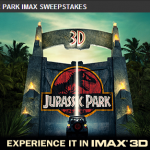 Enter the IMAX sweepstakes for a chance to win the Jurassic Park 20th Anniversary Blu-Ray, a Jurassic Park Staff T-Shirt, the Jurassic Park IMAX poster, and IMAX tickets for FREE! Your mind is blown, I know. Sign up here before the opportunity passes you by! Be the next lucky winner today!